When a relationship ends is complicated for both. If your boyfriend decided to end up your link, you probably keep thinking again and again in all the beautiful experiences that you passed by his side, gestures of love he had for you, how good you felt being with him and will overlook all his mistakes and even you will forget the problems you both had with each other. Every time you’re going somewhere where you use to go together you will remember the happiness you felt at the time. 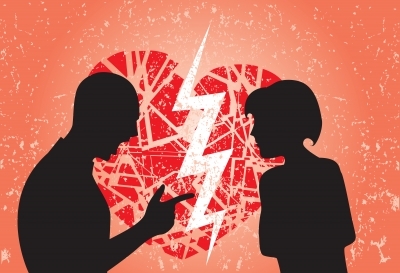 If instead, you took the decision to end the relationship, you will feel some relief, however you can also feel some guilt for the pain and sadness you have caused to take this step. In a situation like this you have to turn to look to your friends and family to avoid you to feel depressed and lonely. Whether you or him cut off the relationship, it’s important to assimilate that the relationship is over and it is best to turn the page and continue on your way. What is recommended in these cases is that you concentrate thinking of all the positives consequences this break will bring in order to overcome it easier in that way. Never think you’re not worth enough or let your self-esteem got affected. The fact that your engagement has come to an end does not mean that you lack courage. Definitely you will find someone who is the true love of your life. You have to avoid neither thinking only about the positive side of your ex courtship, nor not caring at all to negative or vice versa. Try to be very objective when you think about your relationship, recognize the reasons which led to this outcome and appreciate all the lessons learnt from this situation. Seek for support from your friends and family, it can be the most convenient decision for you to cope with this situation. To clear your mind and put aside the memories, try to have fun with your friends, worry about your studies, join the gym, enroll in a workshop, take a trip, etc.. the idea is to do something to distract you. You’re starting a different stage of your life, so we recommend you to change your routine. Do not neglect your image, getting a new look could be helpful. To look different can increase your self-esteem and make you see life from another perspective. Do not get to see the pictures you have together and avoid talking all the time of the end of your engagement. Also it is not appropriate to see your ex boyfriend. It is best that you stay distant from him until after a time and the wounds are healing. Resist the temptation to talk to him on the phone or send messages, it makes no sense to do it because courtship is over. Currently, it is easy to get information on what your ex is doing through social networks, do not go clicking on his wall and reviewing what he posts. Although it may seem difficult, you can avoid doing so and will be very positive for you. Do not try to start a relationship only to try to forget your ex. That will make you feel worse and that your wounds of love will get delayed to heal. It is best to take some time and get yourself good. After that if you know someone you can to start dating without hurting another. Under these circumstances the best you can do is to think about all your friends you did aside to be with your ex-boyfriend. Almost always that we see our partner, we use to dedicate all our time to that person, however when dating comes to an end a sense of abandonment is experienced and we felt totally alone because we have moved away from our family or friends. Keep this in mind when you start dating. We hope these recommendations have helped you to cope with the break up with your boyfriend. Remember that time is your best ally as it will be the responsible for your wounds to get healed.